Announcement Hand poured soy candle jars with a donation to Pointer Rescue Organization for every product purchased! I am obsessively passionate about finding eco-friendly ingredients of the highest quality for my products, cruelty-free and biodegradable/recyclable packaging! All handcrafted at time of order in our little Vermont cottage so please make note of delivery times under the individual items's description! Thank you! 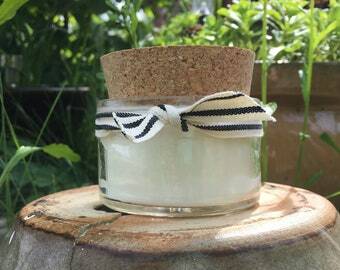 Hand poured soy candle jars with a donation to Pointer Rescue Organization for every product purchased! Vermont Cottage Candles is our little family business tucked into the mountains of Northern Vermont's beautiful Northeast Kingdom. We specialize in unique natural soy candles and wedding favors. I searched for the very best suppliers who care about what they sell and only purchase phthalate free and cruelty free fragrance. I use cotton and paper eco wicks. Many of my containers are recycled. I use USA grown soy that has been processed to be GMO free. Our items are handcrafted at time of order with care and love! A donation is made to Pointer Rescue Organization from EVERY order so your candle purchase also helps doggies in need!! I hope you enjoy my quest to find the most eco-friendly products available! Handmade by me and my family in Northern Vermont. Thank you for supporting us! Due to the personal nature of the product, I am unable to offer a refund or accept returns. If you do have a problem please contact me. I include as much information about each item as I can so you know exactly what you are purchasing; including every ingredient contained in each product. Please read the description of each item carefully so that you know exactly what you are purchasing. If you have any questions about an item, message me before purchasing & I will be happy to answer your questions! I currently only accept PayPal. Payment due at checkout. Please note, you do not need an account with PayPal to use your credit card! If paying with an e-check via PayPal items will not ship until after the e-check clears. All packages are shipped with delivery confirmation through USPS via First Class or Priority Mail depending on weight.. I strive to ship next business day unless it is a custom order. If you need express shipping please convo me! We are a minimal to zero waste shop so your packaging is most likely repurposed from a previous purchase! We encourage you to reuse, recycle and repurpose your packing and shipping materials. Even bubble wrap is now recyclable with your plastic bags but often times I find other shops locally who reuse packing-for instance if I get a surplus of packing materials I pass them on to a local glass shop! I specifically search our packing and labeling products that are compostable, reusable or recyclable. No plastic from this shop! Every product is cruelty-free and every ingredient is cruelty-free. PHTHALATE DANGERS:Phthalates have been shown to disrupt hormone activity, can lead to obesity, reduced female fertility, preterm birth, low birthweight, a worsening of allergy and asthma symptoms, and behavior changes. They have also been linked to liver cancer and breast cancer. The list of the dangers of Phthalates keeps growing.